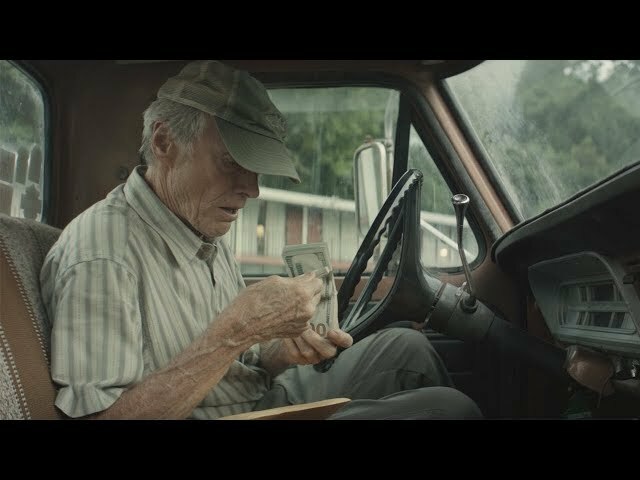 The Mule (film, 2018). A 2018 American crime drama film with "R" rating by Warner Bros. Pictures. Directed by Clint Eastwood. Official Trailer. The Mule is a 2018 American crime drama film directed by Clint Eastwood. 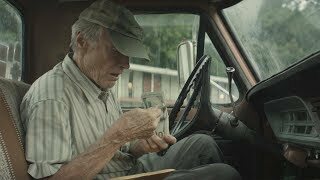 THE MULE - Official Trailer. Earl Stone, in his 80s, is an award-winning horticulturist and Korean War veteran in Peoria, Illinois who is facing financial ruin and is estranged from his family. Desperate for money, he becomes a "mule" transporting cocaine through Illinois for a Mexican drug cartel. Facing little suspicion due to his age, race, spotless criminal history and strict adherence to driving laws, Earl is soon trusted with huge amounts of drugs and paid large amounts of cash. With the money he obtains from drug-running, he buys a new truck, settles his financial problems, pays for renovations of the local VFW Post and his granddaughter's wedding and education. He becomes friendly with the cartel members, who call him Tata ("grandfather"). Meanwhile, a Drug Enforcement Administration task force is narrowing in on the cartel's deliveries to Chicago. Tensions within the cartel erupt when a power-hungry lieutenant assassinates the boss, and subsequently demands Earl be kept under tighter control. In the middle of a large cocaine shipment, Earl learns his ex-wife is gravely ill. He postpones the drug delivery to make peace with his ex-wife before her death, which provokes the cartel's ire. He resumes the delivery as the DEA and the cartel close in on him. Earl is beaten and threatened by the cartel's enforcers, but they relent after learning of his wife's passing. As he makes his way towards the drop point, he is arrested by the DEA agents. When Earl pleads guilty to all charges and is sent to prison, his family show him their support. In prison, he returns to his horticulture. Principal photography began on June 4, 2018 in Atlanta, Rome and Augusta, Georgia. The film The Mule was scheduled to be released by Warner Bros. Pictures on December 10, 2018 (Regency Village Theater), on December 14, 2018 (United States), on January 25, 2019 (United Kingdom) and on January 31, 2019 (Germany). The duration of the film is 116 minutes. With a budget of $50 million, the film grossed over $166.6 million. The Mule got high rating from critics. The audience also likes the film. Audiences polled by CinemaScore gave the film an average grade of "A-" on a scale ranging from A+ to F.